There are many important parts when it comes to the inner workings of your vehicle, and fuel pressure regulators can have a huge impact on your performance. A faulty fuel pressure regulator can decrease mileage, create poor emissions, cause fire hazards, and ruin your entire system. Fortunately, we have Adjustable Fuel Pressure Regulators that will help you make quick repairs and replacements so that you can get your system back in peak condition without hassle. The best way to prevent the slow degradation and loss of performance in your hardware is to perform regular maintenance on it. Prevention is easier than repairing, and our Adjustable Fuel Pressure Regulators test kits will make the job easy. Check oil and fuel pressure with a no-leak hose, making the job quick so you can get back to work in no time.Fuel Pressure Regulators use springs to determine the pressure within a system, and this spring can wear out over time and require maintenance. With a proper test kit, you can determine if there are issues with your system and ensure you have hardware that is always running at its best. When it comes time to make repairs or replacements, our selection of parts has everything you need. From valve caps to drain plugs to banjo bolts and more, there is a great amount of hardware to choose from. Replacing old parts with new and improved ones will give your regulator a great upgrade that can result in improved performance, including higher fuel flow, better pressure, and less wear on your system for a longer lifespan. This can not only return an older machine to optimal condition, but it can also greatly improve the reliability of your equipment so that you can take your mind off your vehicle and keep it on the job at hand. Whether you are making simple repairs or looking to make a large upgrade to your fuel pressure regulators, we have everything you need to keep the job as quick and easy as possible. If you need help choosing the perfect parts for your system, feel free to contact our expert support representatives. They will work with you to get the right match for your machine so that you get the best results without issue. This billet cap allows for proper checking of fuel pressure. The hose has a screw on fitting that will not leak fuel. This makes it easy to remove the cap after testing, or to remove the line and leave the cap installed on the vehicle. If you have a problem with your for Ford Powerstroke 6.0L Diesel you need the ability to test your fuel and oil pressure on a regular basis. This will save you thousands of dollars in repair bills. 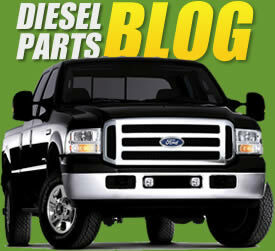 Before taking the truck to a shop, understand yourself the status of your diesel engine. Trust me, too many shops are just "parts changers". If the fuel or the oil pressure are not up to spec, the effects are widespread.